In 2008, the Senegalese Shipper’s Council established the requirement that all cargo imported into the country will require a Cargo Tracking Note (CTN). Some shipping lines may not load cargo without the CTN number. Cargo arriving without a Cargo Tracking Note may be subject of fines and delays. Cargo Tracking Notes will not be issued at discharge port. Submit the required documents by email or online submission. You will be sent a draft and an invoice, typically within the same day. Once your payment has been received and you approve the draft, validation will be sent. The CTN must be validated before the vessel arrives at the destination. No regularization at destination port. Since the CTN is validated by the authorities in the destination country, the process from submitting a request to final validation can take 3-5 days. A Bill of Lading (sometimes abbreviated as B/L or BoL) is a document issued by a carrier (or their agent) to acknowledge receipt of cargo for shipment. They are used in international trade to ensure that exporters receive payment and importers receive the merchandise. All African countries require a copy of the BL when applying for a CTN. The Commercial Invoice document is a detailed invoice and description of the goods that are being sold and shipped from the origin to the destination in Africa. This document is provided by the consignee. The Freight Invoice document is a detailed invoice of what the freight charges are to ship the goods from the origin country to the destination in Africa. This document is provided by the exporter or freight forwarder. 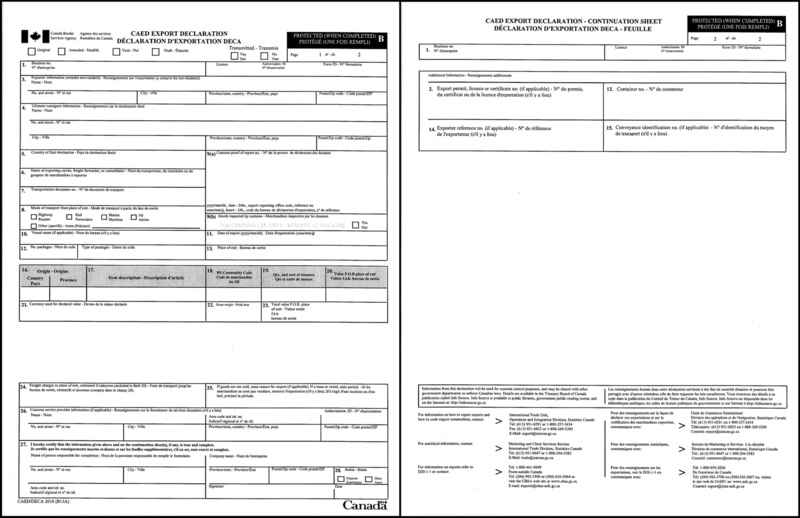 The Customs Export Declaration is a US Department of Commerce Form that acts as a Shipper’s Export Declaration. It should be used for US export shipments of cargo the value of which is at least $2,500. 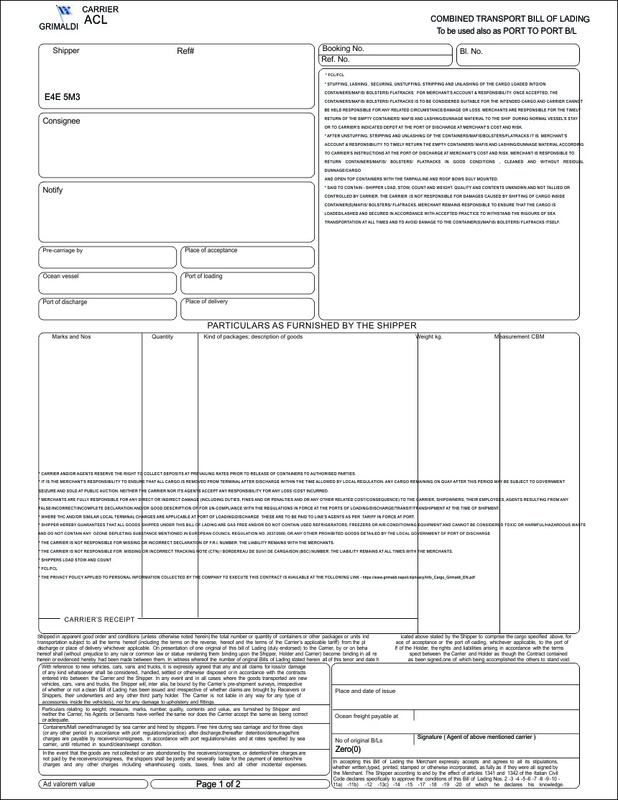 Some African countries require this document in order to obtain a CTN. NOTE: Quotes frequently go into the spam folder if africactn.com is not a "trusted sender", please check your spam folder if you do not receive a quote to your inbox. NOTE: Reply Emails frequently go into the spam folder if africactn.com is not a "trusted sender", please check your spam folder if you do not receive submission verification to your inbox. Effective March 1st, 2019, the BSC for Senegal will be required prior to loading cargo. IMPORTANT: The BSC number must be presented to the shipping line in order to load cargo destined for Senegal. No regularization at destination port.